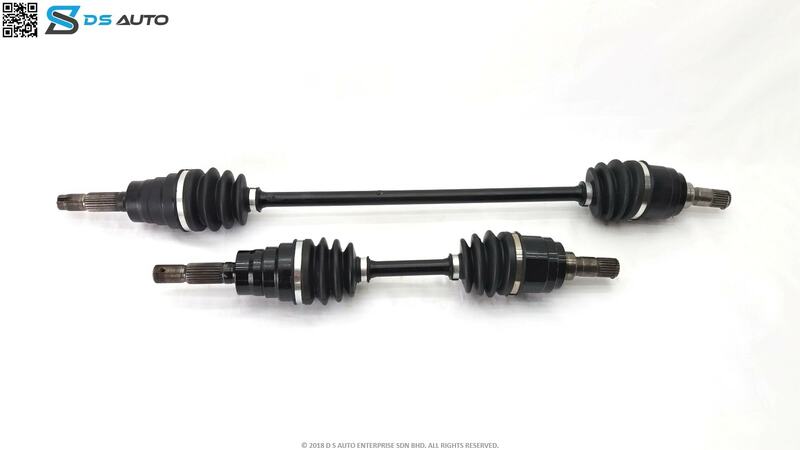 This is Perodua Kembara drive shaft set, showcasing both the drive shafts from the side view. This is Perodua Kembara drive shaft set from the top view. 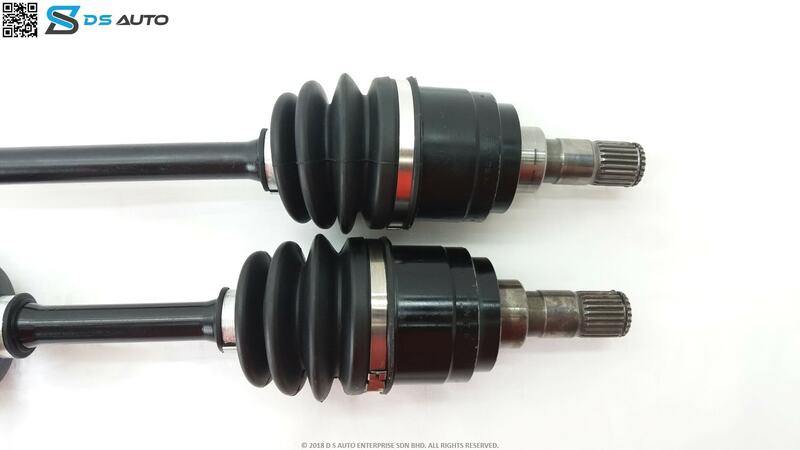 This is Perodua Kembara drive shaft set, showcasing the outer constant velocity joint. 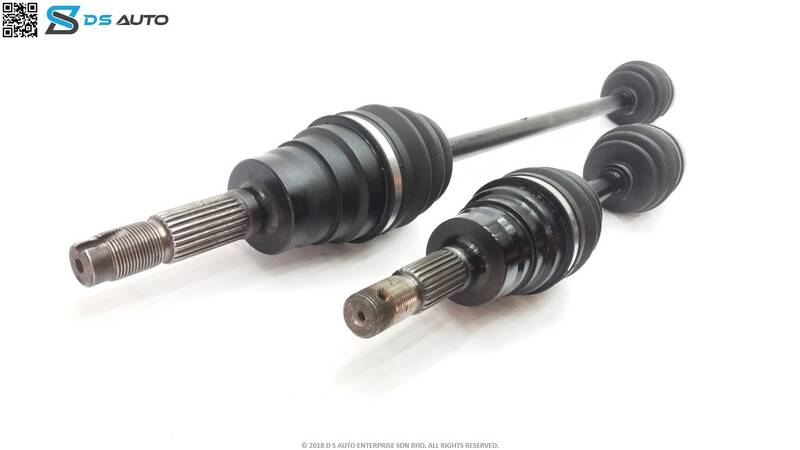 This is Perodua Kembara drive shaft set, showcasing the inner constant velocity joint. Is your Perodua Kembara giving you problems? Looking to get your drive shaft replaced? 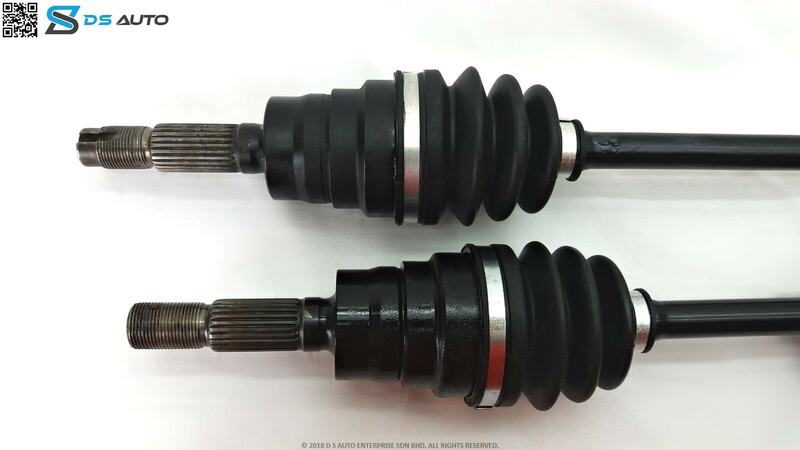 Speak to D S Auto‘s customer service now to get your Perodua Kembara drive shaft. The Perodua Kembara is Malaysia’s first ever SUV launched in August 1998 by Perodua. The launch of the Kembara made the name Perodua popular because it was accompanied by the new Perodua logo. The car was released at a time when the country was hit by an economic crisis. There was a massive contraction of the vehicle market at that time and it was feared that the car would not sell well. Contrary to expectations, the car did well in the market leading with 64% shares in the 4WD segment by the year 1999. The Kembara remained popular in the following years because of its price and unique body style. Most cars in the segment at that time were mostly sedans and hatchbacks. Due to some issues with the model such as high fuel consumption, low performance, and noise levels, Perodua released an improved model, the Kembara DVVT. The Kembara DVVT came with a brand new K3-VE 1.3-litre 4-cylinder engine with a variable valve timing mechanism. This model is the first 1.3-litre engine among locally assembled models in Malaysia to feature variable valve timing. The K3 engine came together with improved manual and automatic transmissions. These addressed the two issues which customers had with the previous Kembara. Most of the body panels of the Kembara DVVT were the same as the previous model but it now came with new headlights, signal lights, bumpers and rear light clusters. The DVVT also had a new 3-spoke steering wheel. The car did not have airbags but had a sturdy body and anti-intrusion bars in each door for safety. The car had a fuel consumption rate of 11.02 km\ litre. How much does the Kembara cost? There is no new Perodua Kembara on the market but a used pre-facelifted model can be gotten for less than RM20,000. The Kembara sold for only 5 months in 1998. Its sales within that period accounted for 41% of the 4WD segment which totaled about 8,500 units. In 1999, the Kembara had 64 % share of the 22,729 units registered in the 4WD segment. That year remains the best year for the model to date. Who were its direct competitors? There were no direct competitors for the Perodua Kembara at that time because of its cheap price. The indirect competitors were similar cars from Toyota, Proton, and Honda. The Kembara was the cheapest 4WD in Malaysian during its time. FFUsers considered the Kembara DVVT a great little vehicle to use. It could be easily maneuvered in traffic. It was also easy to park.